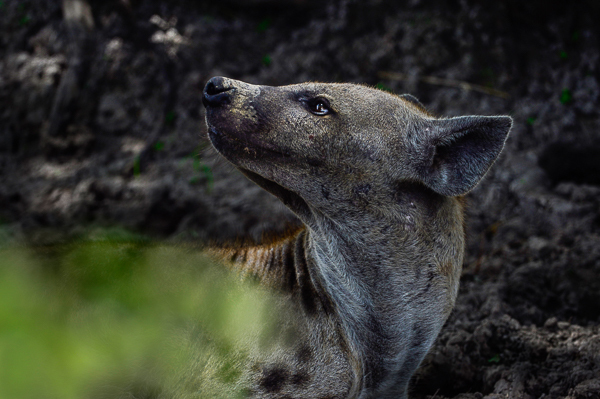 A unique photo tour with the world photography duo Mattias Klum and Iris Alexandrov to Selous Game Reserve – Africa’s last wilderness. The sun slowly rises over the horizon and casts a golden light over the Miombo forest as we drive through the lush vegetation in southeastern Tanzania. As we pass by a herd of zebra, a pair of giraffes pop their heads up in between the trees to look for predators. We stop to photograph three giant elephants that quietly pass just a few meters in front of our jeep. 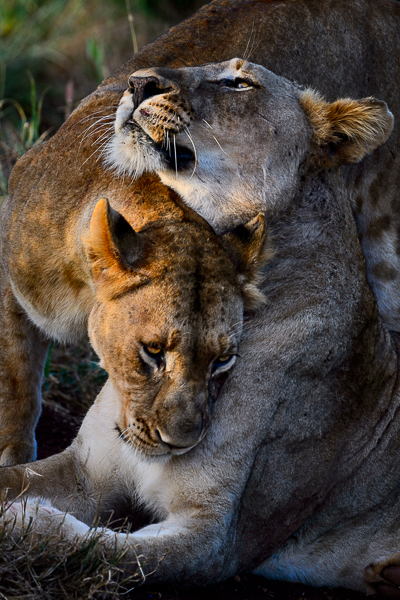 Our goal is to find the pride of lions which we left just after sunset the night before. 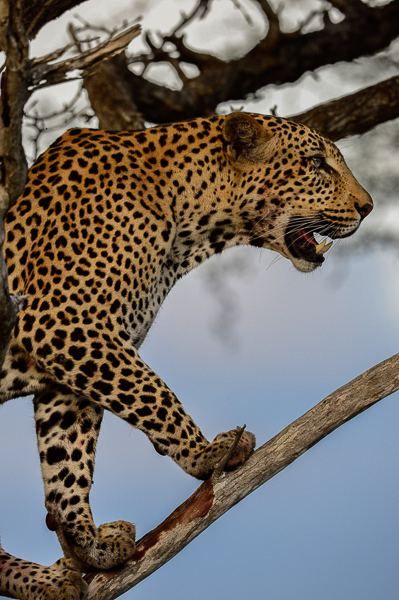 Suddenly we discover a leopard in a tree scanning the ground for an easy prey. Finally we see them again. The pride of lions, males and females eating on their prey from the night’s hunt while the little cubs run around and play. The early morning light filters through the trees making its way down to the lions. The conditions to capture amazing photos could not have been any better. Zoom Photo Tours gives you a unique opportunity to accompany the world-renowned National Geographic photographer Mattias Klum and the photographer, filmmaker and artist Iris Alexandrov to an untouched part of Africa – Selous Game Reserve in Tanzania. 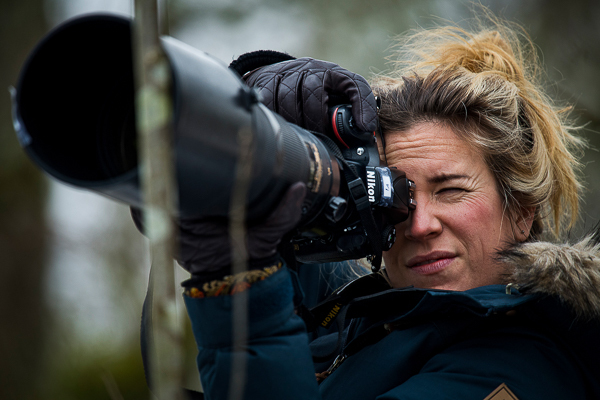 With Mattias and Iris’s inspiring and knowledgeable guidance, we will visit one of the world’s last great wildernesses to photograph its spectacular wildlife. In Selous Game Reserve there are thousands of elephants roaming in the Miombo forest and close to 5,000 lions will give us amazing photo opportunities. There are also giraffes, hippos, leopard and one of Africa’s largest packs of the endangered African wild dog. 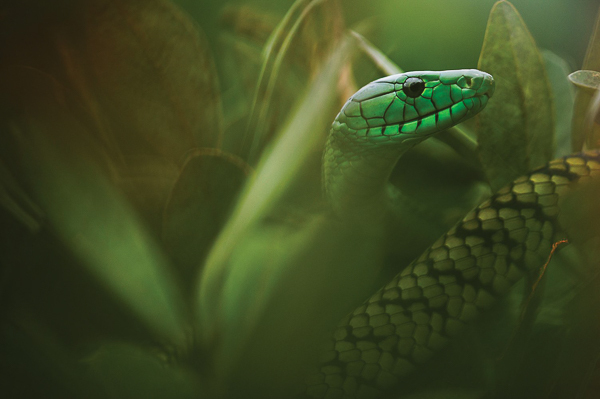 Join us on a journey to this incredible paradise for wildlife and nature photography while learning more about why a thriving nature is essential for a stable future on Earth. 14 safaris with both jeep and boat. Walking photo safaris led by skilled rangers. 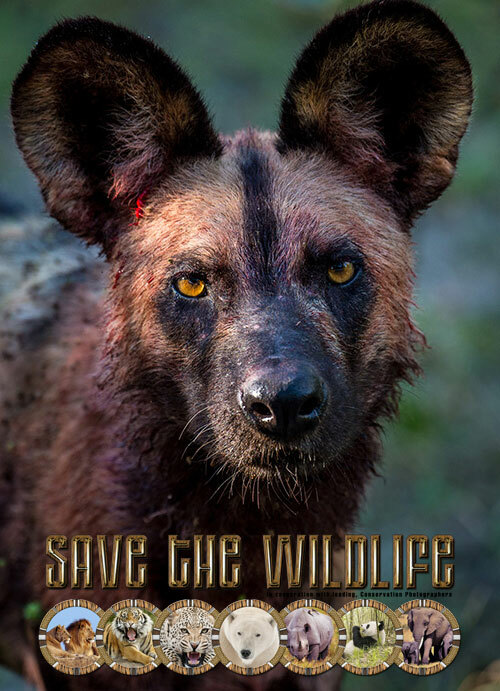 Great chances to photograph the endangered African wild dog. 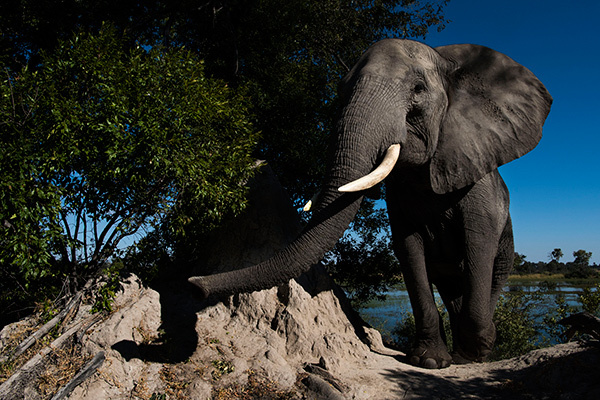 Capture Selous’ many elephants and large cats. Personal tutoring from Mattias Klum and Iris Alexandrov throughout the stay in Selous. Post processing workshops with Mattias Klum and Iris Alexandrov. 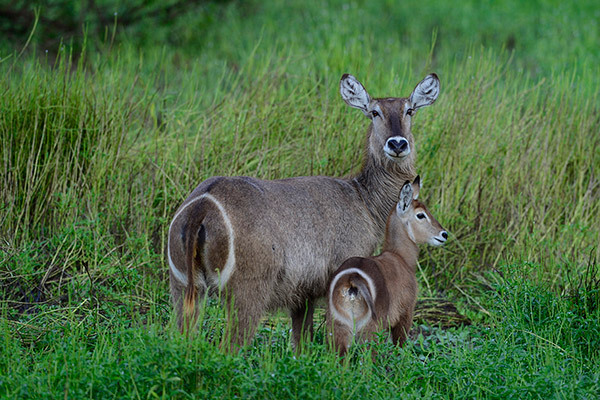 In southeastern Tanzania lies Selous Game Reserve. 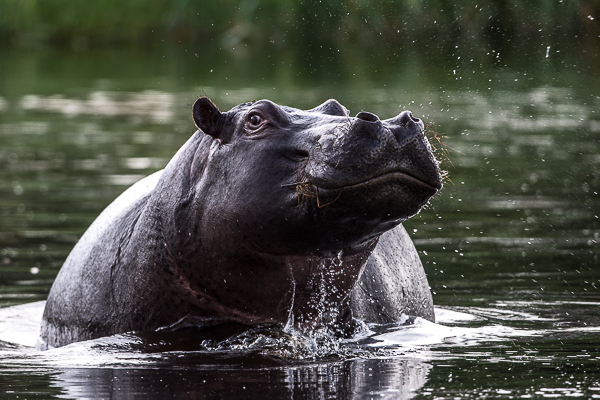 With an area as large as Denmark, it has been called Africa’s last wilderness. It is easy to understand why when you see the enormous diversity of animals found here. With an area of ​​over 50,000 km2, Selous is the second largest protected natural area in Africa and an area that is relatively unaffected by man. The reserve is crossed by the mighty Rufiji River and Stiegler’s Gorge, a 100 meter deep and 100 meter wide gorge. The vegetation in Selous consists largely of deciduous Miombo woodlands and open grasslands, but there are also acacia-lined hills, marsh forests and wetlands. The reserve has been on UNESCO World Heritage List since 1982. In Selous Game Reserve, there is not only the option of regular safaris by jeep but also by boat as well as walking photo safaris led by skilled rangers. The wildlife in the park is extensive. In addition to large herds of elephant and over 5,000 lions, there are leopards, hyena, rhinos, zebras, giraffes and African buffalos. 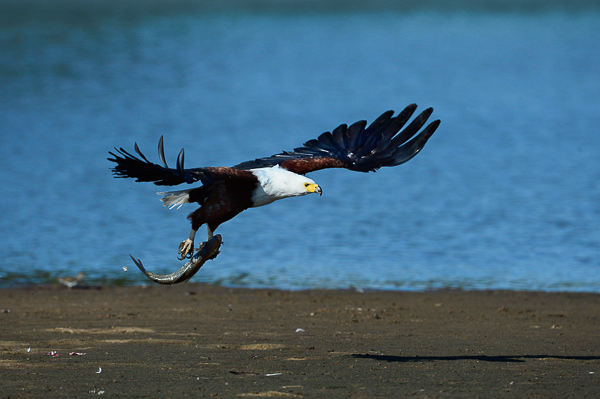 There is also a wide-ranging birdlife with species such as turacos, ostriches and hornbill birds. Selous is also one of the few areas in eastern Africa where there are still good opportunities to see the endangered African wild dog. 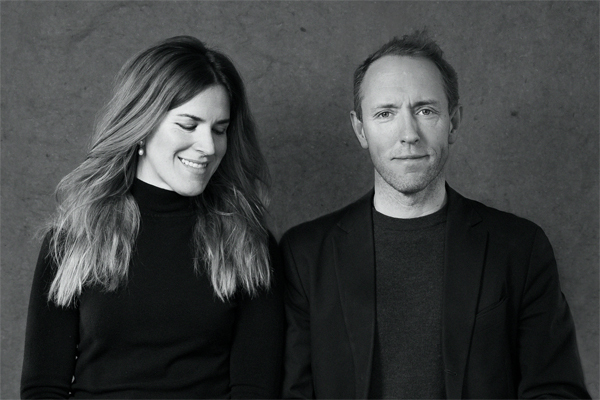 By combining Mattias and Iris creative visions and passionate storytelling, the artist duo creates immersive worlds for the audience to explore by use of installations, fine art prints and film. The artist duo is firmly planted in the science of planetary issues presented through a fusion of personal experience and fictional worlds. You can read more about the duo here. Mattias Klum is a photographer, cinematographer and director. In an artistic way that is entirely his own, he describes and portrays animals, plants and natural and cultural settings in the form of articles, books, films and exhibitions. 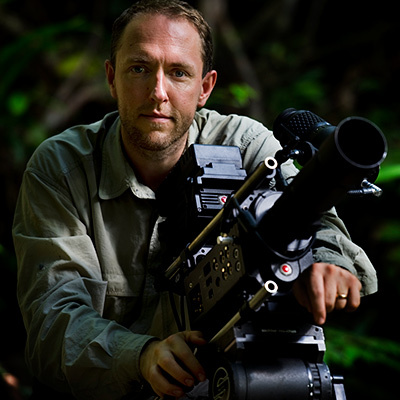 Since 1997, Mattias has produced multiple articles and thirteen cover stories for National Geographic magazine. He has produced 9 film projects and published 14 books to date. Klum is also an internationally sought-after lecturer and has given more than 3000 lectures worldwide. His photographs have been shown in one-man exhibitions at renowned museums and art galleries all around the world. He has been named a Young Global Leader of the World Economic Forum, awarded an honorary Doctorate in Natural Sciences by Stockholm University, appointed Fellow at the National Geographic Society, goodwill ambassador for IUCN and WWF and serves as a member of the Board of Trustees at WWF Sweden. You can read more about Mattias here. Iris Alexandrov is a conceptual artist working with installations, film and photography. She uses storytelling in a visual narrative anchored in both the ancient traditions of icon paintings and mythological stories as well as modern science. The art works she creates are often depicted in entire worlds where smell, sound and light are used to place the viewer within the artwork itself. Time is a central topic to Alexandrov, where she often seeks to portray a passage where the time stands still; before or after an event, leaving the beholder lingering in a certain state of mind. Her method is interdisciplinary, working with literature, science and visual content, constructing new stories within both real and fictional worlds. You can read more about Iris here. BEFORE – Before the trip you have the opportunity to submit a number of pictures that represent your photographic style and you as a photographer. This makes it easier for Mattias and Iris to adapt the instructions and give you personal advice so that you can best develop as a photographer according to your own requirements. DURING – With personal guidance and tutoring from Mattias and Iris, we will spend a lot of time taking photographs of many amazing places. This gives several opportunities for individual photo tips, advice and the opportunity to ask all possible questions to our photographers. During the trip, we will also work with everything from how to develop your creativity and storytelling to post processing and image evaluation. They will also talk about image composition, light, subjects and much more. Mattias and Iris will also hold interesting talks and slide show presentations. After a nice breakfast we leave the hotel to head towards the airport for our flight to Selous Game Reserve. After a 45-minute flight we will land in Selous. We will then take a short jeep trip through the park until we arrive at the lodge where we are welcomed by Mattias and Iris. During these days, we will explore and photograph Selous Game Reserve via jeeps, boats and even on foot to get more of an intimate encounter of the animals where we will have the opportunity to really get low and work with our camera angles. In order to provide great photographic tutoring and give tips and advice to all the people in our group, Mattias and Iris will alternate between our jeeps / boats during the days. With an area as large as a small European country and with an enormous diversity the photo opportunities here are endless. Our open jeeps allow us to explore the wildlife in Africa’s largest nature reserve and during our waking safaris in the wilderness, we have the opportunity to come really close to the animals. 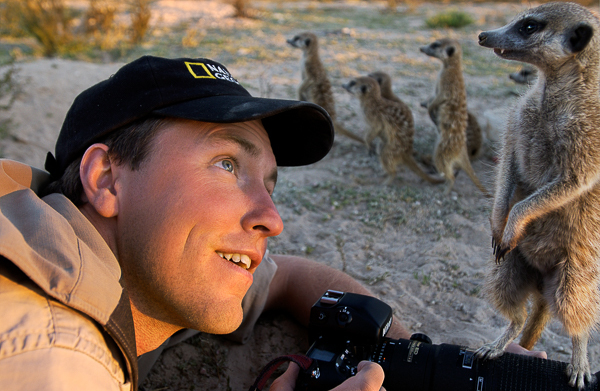 These close experiences will offer completely new angles and photo opportunities. During the boat trips we slowly drift down the Simbazi River getting amazing opportunities to photograph close-ups of crocodiles, hippos in the water and elephants coming down to the river to drink. There are also over 400 bird species in the area. Each morning our knowledgeable rangers together with Mattias and Iris will make some decisions on the day’s safari activities. After a warm cup of coffee in the cool morning air, we will head out to photograph as the sun rises slowly and the air gets filled with smells and sounds. After an early morning safari filled with amazing experiences and photo opportunities, we discuss the morning’s safari outcome by the poolside of our lodge. After lunch there is time for a few hours of relaxation, another dip in the pool or some photo editing before heading out on today’s second safari. We will also work with post processing and listen to photo and nature related talks from both Mattias, Iris and representatives from local nature conservation organizations. 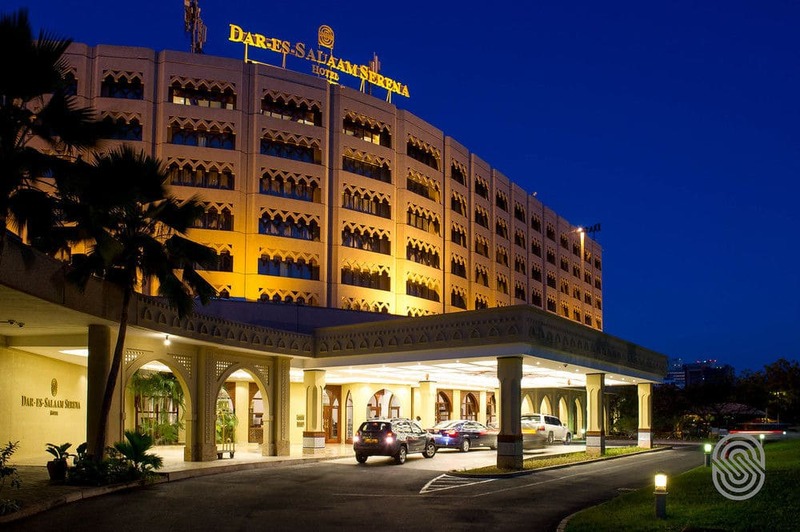 5-star luxury hotel Dar es Salaam Serena Hotel is set on a golf course on the outskirts of the city and overlooks the Indian Ocean. The hotel has 230 spacious and air-conditioned rooms, all modernly furnished with TV, telephone, minibar and private bathroom. The hotel has two restaurants, a pool bar, a cafe and the Kibo bar with live music in the evenings. Within the hotel area there is a golf course and a large tropical garden with a swimming pool. Wi-Fi is available for an additional fee. Selous Serena Camp is a first class lodge located on the Simbazi River. The lodge offers 12 luxurious tents, each with its own bathroom with shower and toilet and with its own balcony in front of the tent. At the lodge there is also a bar and restaurant overlooking the waterhole where the animals gather in the evenings. The lodge also has a large terrace overlooking the Simbazi river and a relaxing swimming pool. Wi-Fi is available for an additional fee. This is a “Save the Wildlife” tour, which means that we will highlight the importance of animal and nature conservation throughout the tour. We will explore one of the world’s last big wildlife areas, an area that has unfortunately become one of the most endangered. As Selous is not regularly visited by tourists compared to other parks in Africa, the park is hit by a massive poaching problem, which unfortunately has escalated in recent years. Today, for example, only a fraction of elephants remain in a population that previously covered more than 120,000. 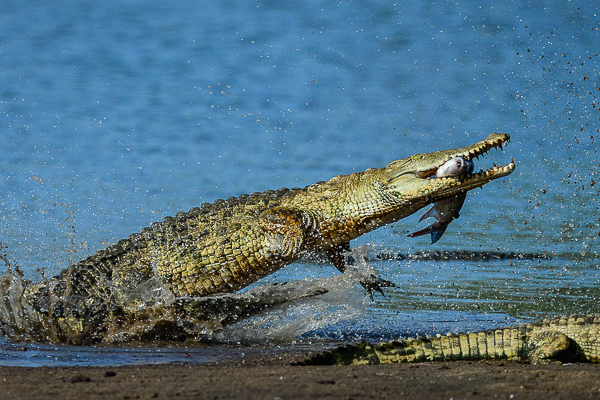 Selous is featured on UNESCO’s list of threatened areas. The park is guarded by approximately 300 park rangers who have the task of securing an area as large as Denmark from the extensive poaching that takes place from both helicopters as well as with automatic weapons. During the tour, we will not only be able to photograph Selous’ amazing wildlife but also learn more about the conservation work being done in the park. In addition to talks and discussions with Mattias and Iris, we will meet and listen to people who work in various ways to preserve Selous’ amazing diversity. 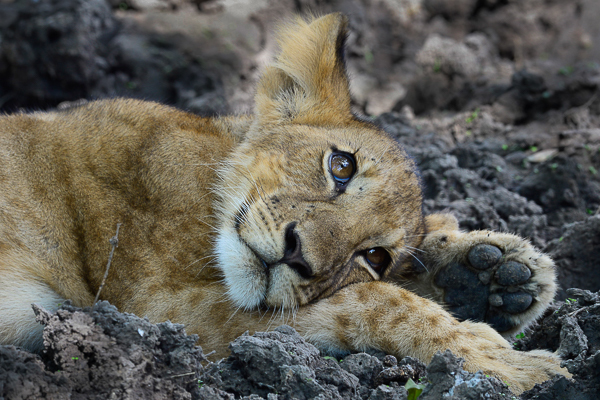 As a traveler on this tour you are part of helping to save Selous’ wildlife. Part of the proceeds from the tour will be used for equipment for the park rangers to assist them in their fight against the poachers. Domestic flight from Dar es Salaam – Selous. All ground transfers and luggage transport according to the itinerary. Accommodation in shared double room. Meals according to itinerary: B = Breakfast, L = Lunch, D = Dinner. Safaris according to the itinerary. Participation & workshops by Mattias & Iris during the trip. Local rangers during all safaris. Various conservation activities and lectures during the tour. Tips to the rangers. Approximately USD 10 / day. The airfare to Dar es Salaam is not included in the price. But if you wish, we are more than happy to help you with your flight arrangements. Just send an email to info@zoomphototours.com and we will respond with flight suggestions and prices. In order to for you to get personal photo guidance and the best experience with our photographer our groups are always small. On this tour the minimum and maximum number of guests are 8 / 15. Apart from an award winning photographer, our tours are always accompanied by a tour leader from Zoom with good photo knowledge. Our tour leader will handle all logistics and general matters and make sure your having the best possible experience in Selous.